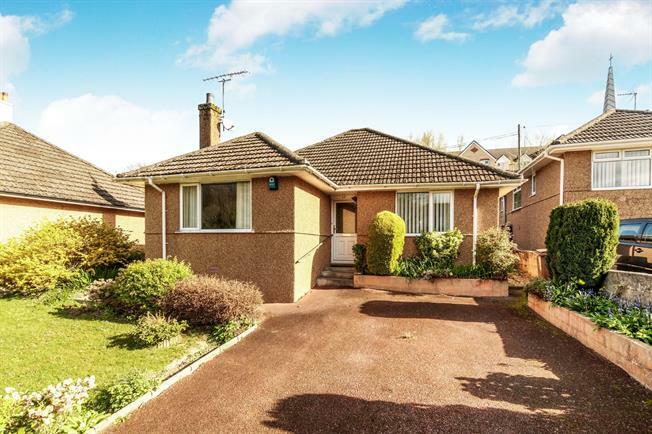 2 Bedroom Detached Bungalow For Sale in Plymouth for Guide Price £220,000. This property's price has dropped from £235,000 to Guide Price £220,000. Guide Price 220,000 - 230,000. Detached Bungalow situated in Blandford Road. The property is approached via a driveway and beautiful front garden which leads you to the front door. The inside accommodation offers two double bedrooms, fitted kitchen, bathroom, lounge and dining room. Benefits include gas central heating and uPVC double glazing. The rear garden can be accessed via the kitchen, the lawned rear garden is enclosed and leads to the garage and additional driveway. This property is being sold with no onward chain.